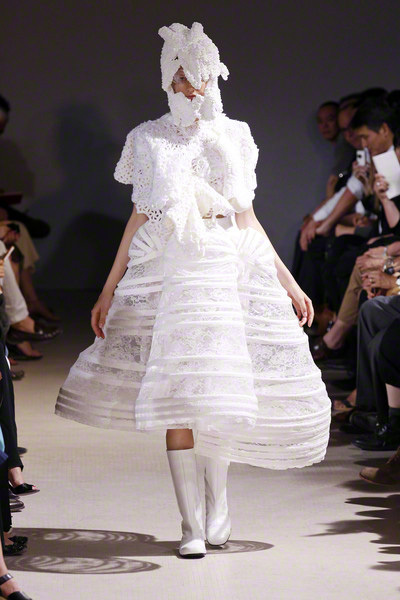 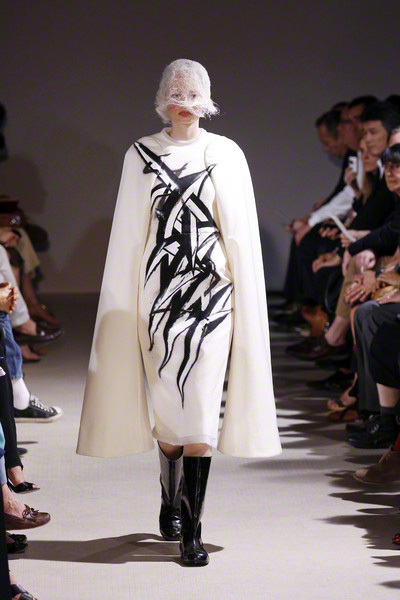 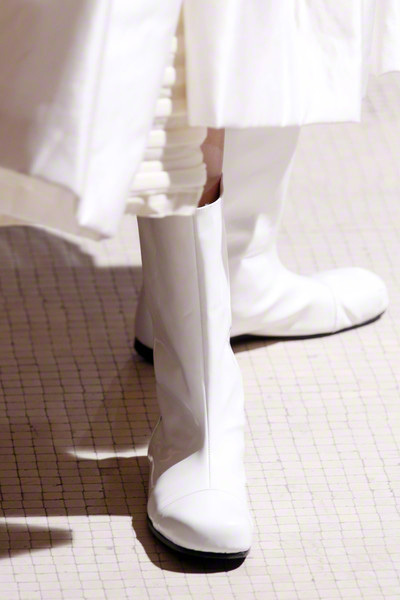 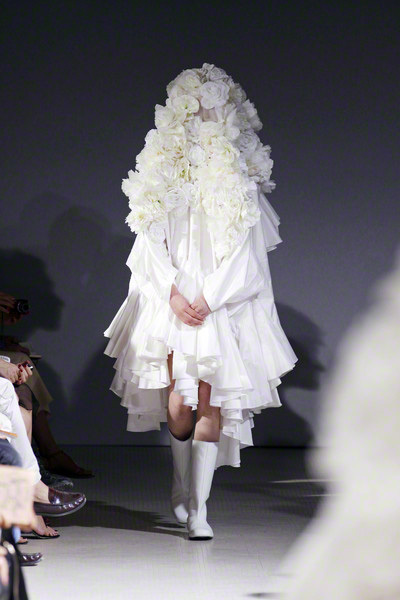 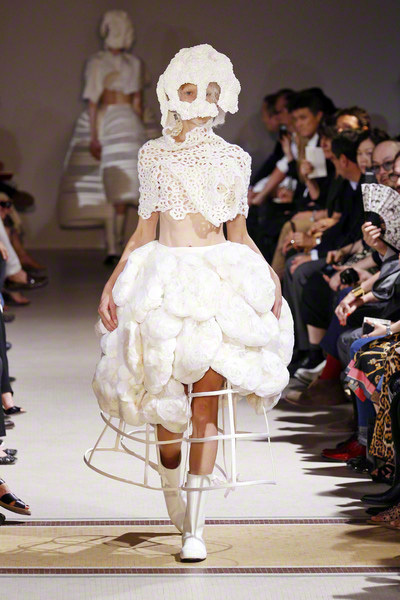 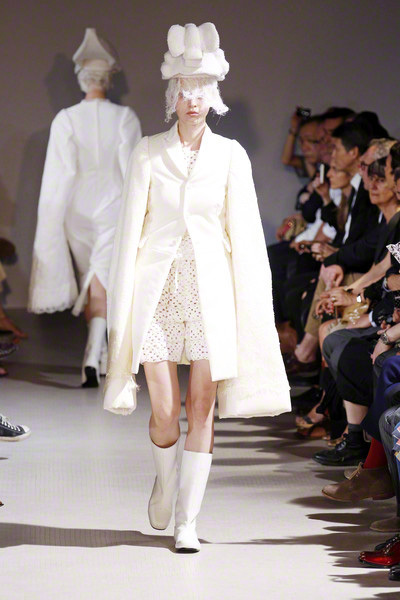 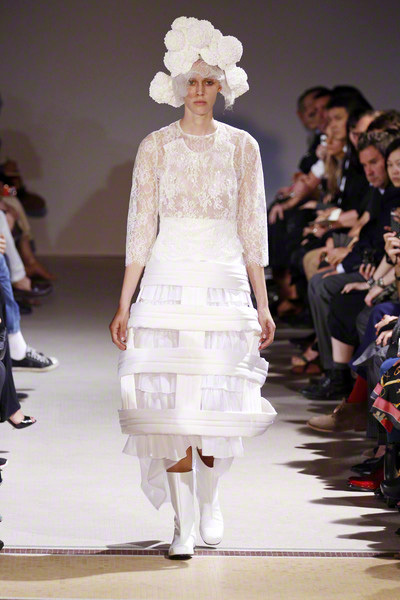 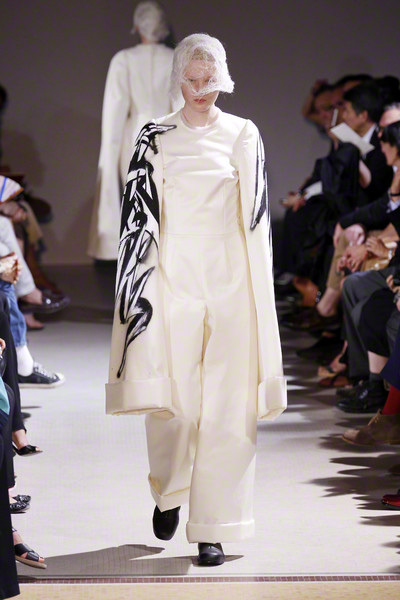 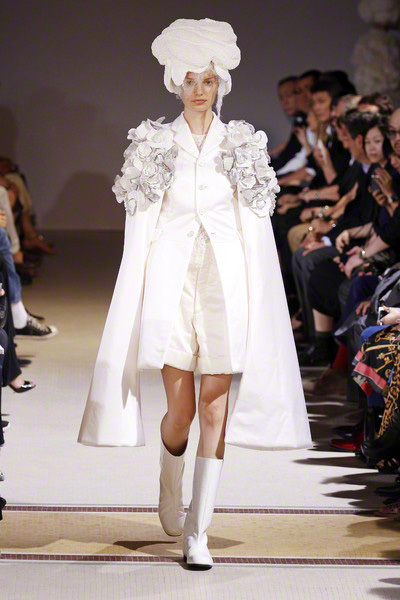 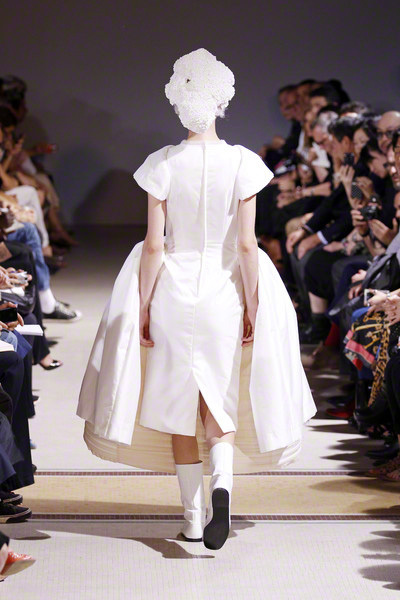 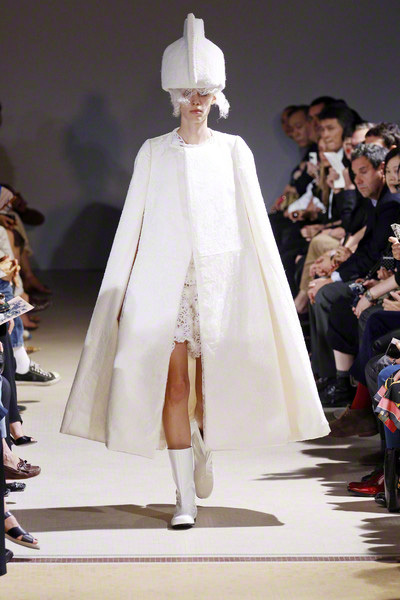 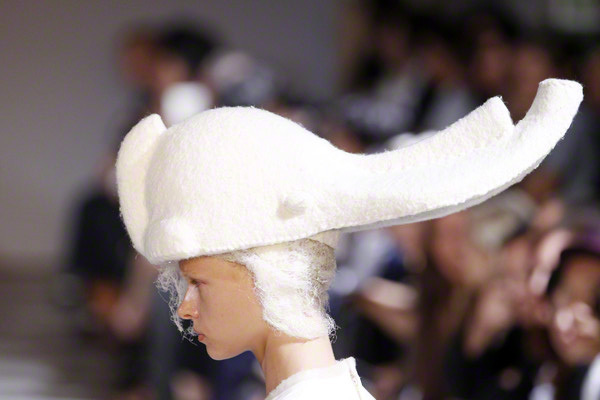 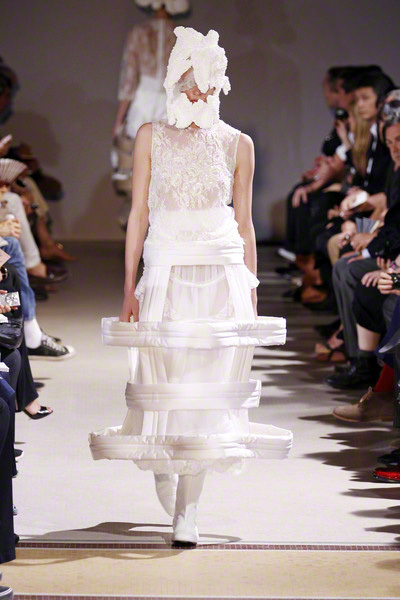 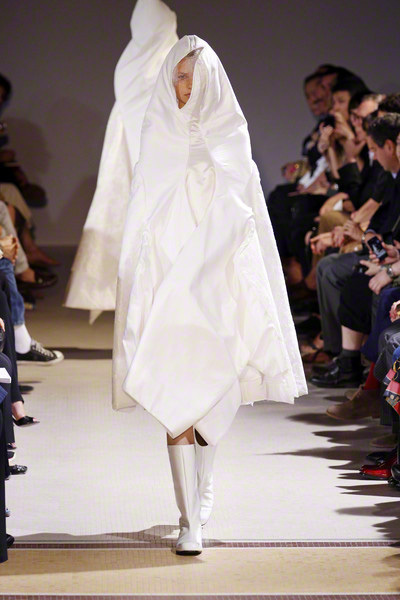 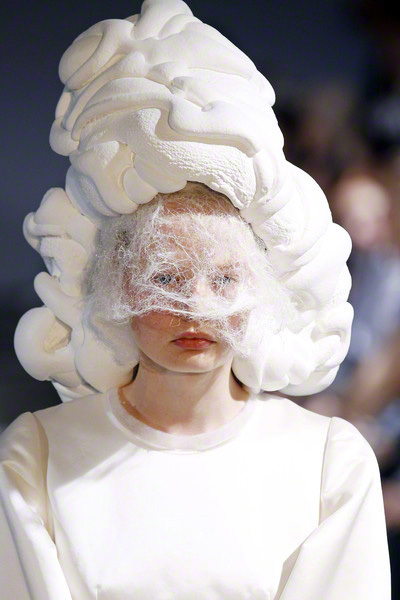 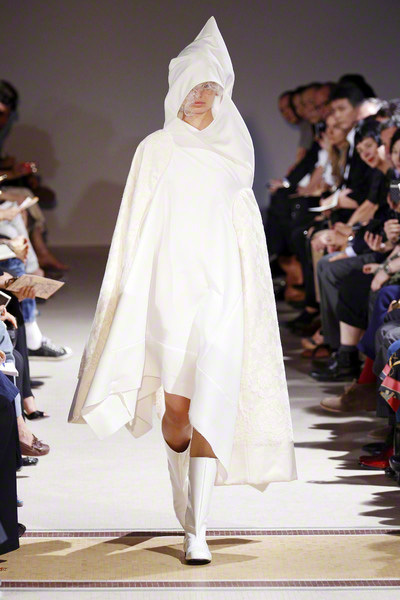 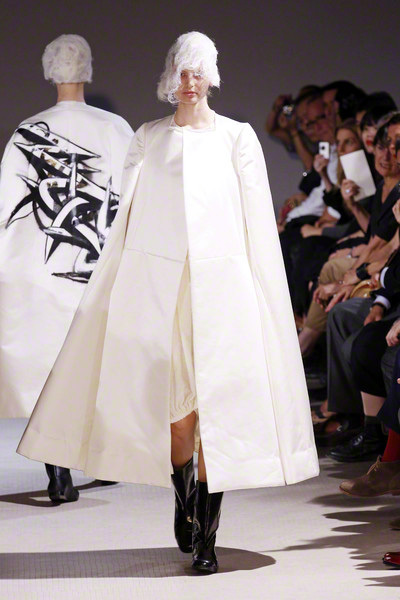 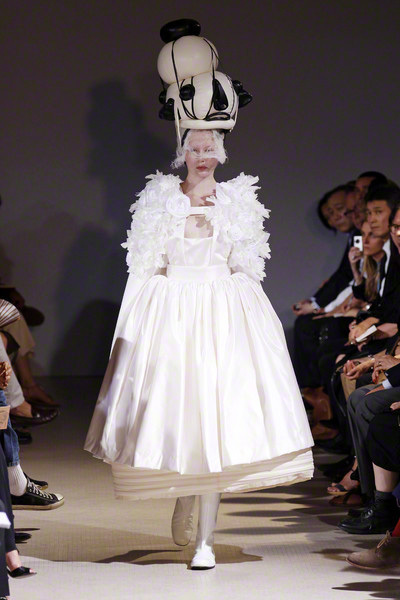 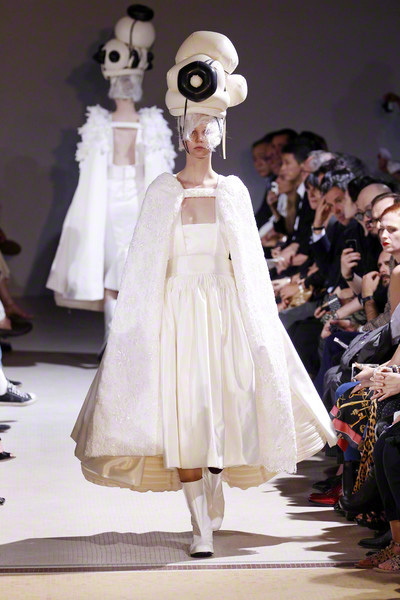 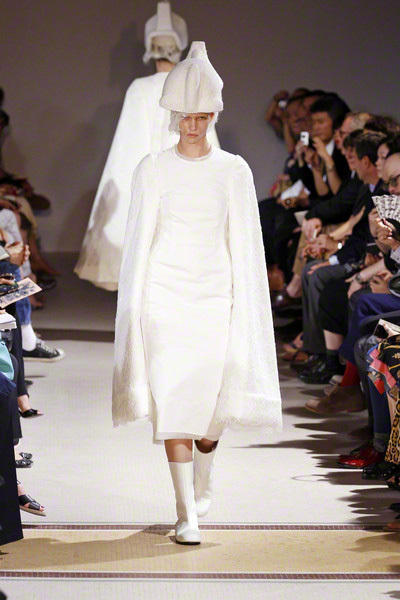 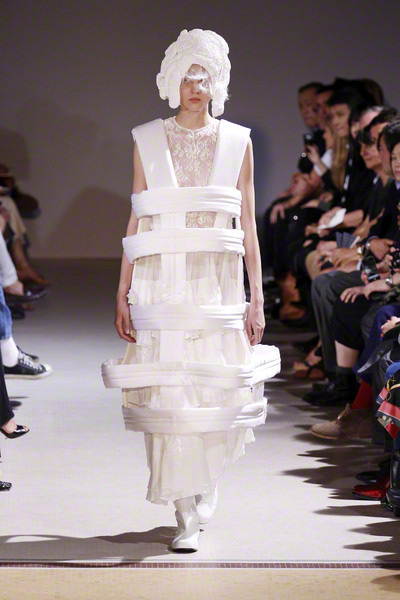 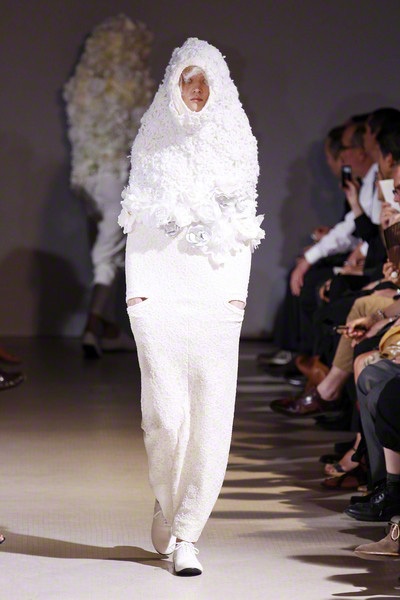 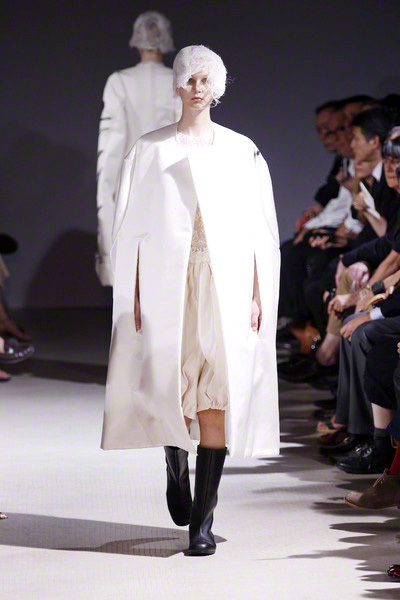 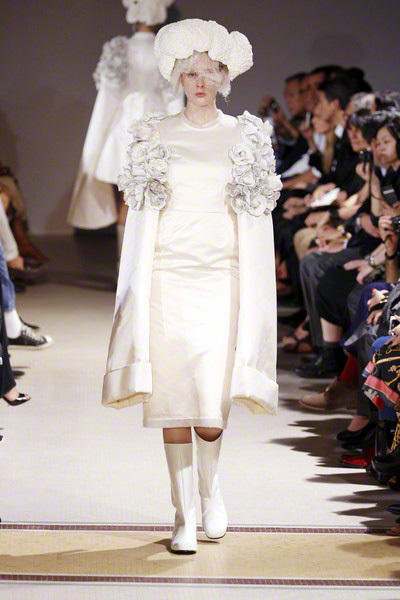 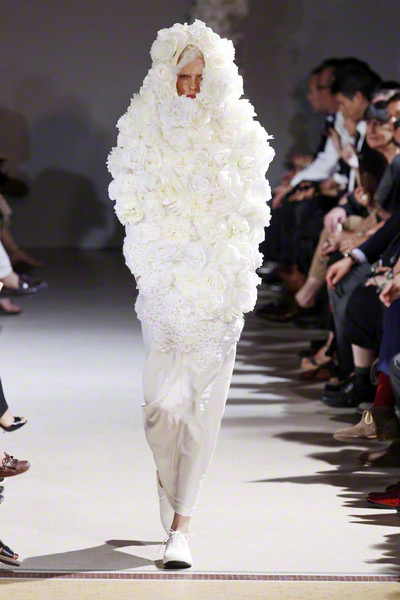 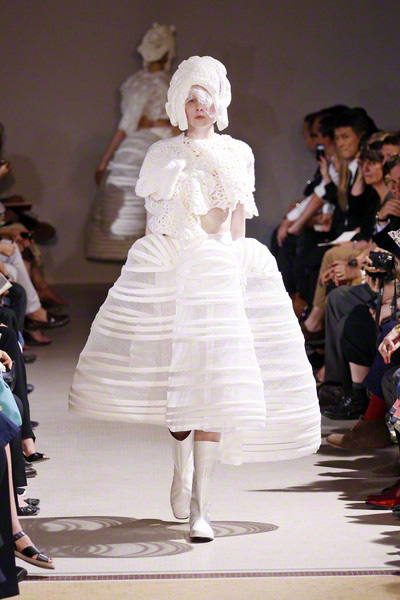 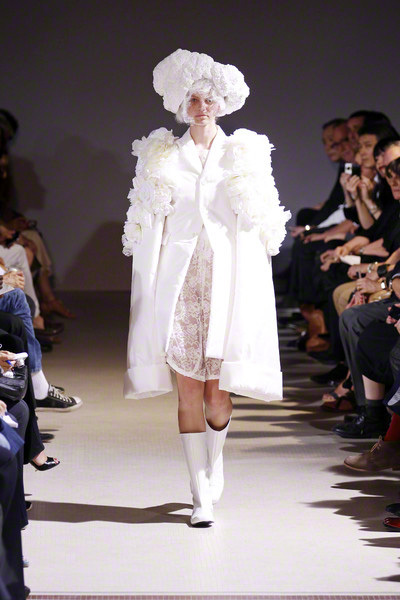 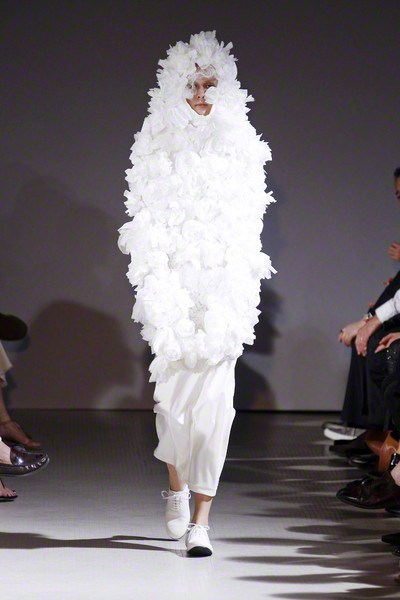 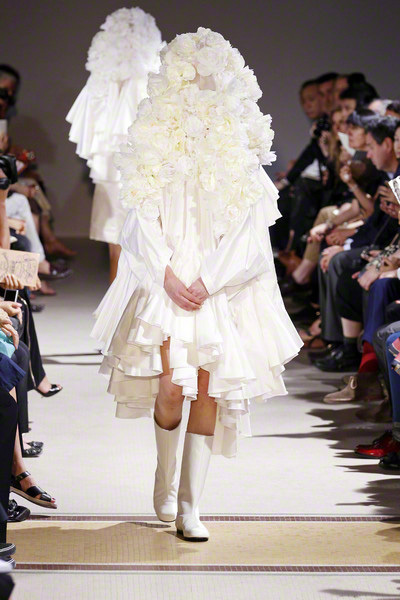 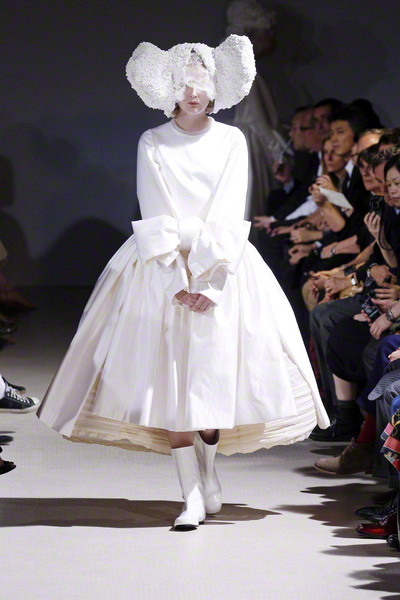 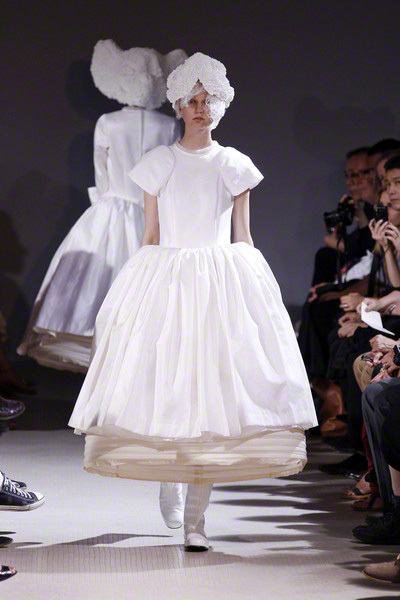 In a season with an overload of prints and color Rei Kawakubo decided to go with pure white. 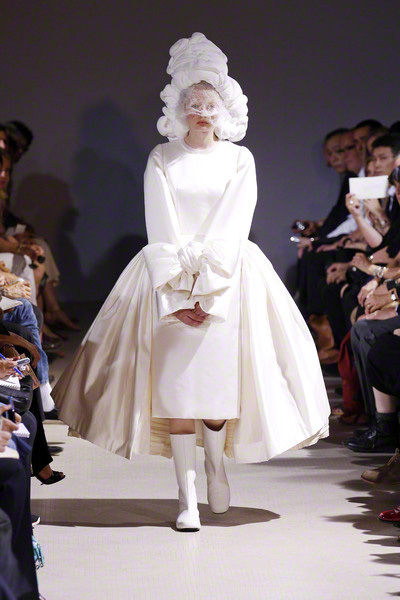 “White drama” was her description of her spring collection, which opened with an ivory satin long-sleeved dress, straight at front and a full bouffant skirt in the back. 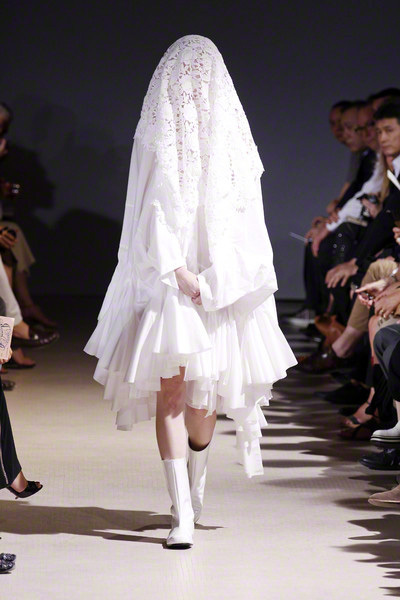 The model, veiled and with a high white headpiece had her hands folded in front and tied together at the wrists with a big bow. 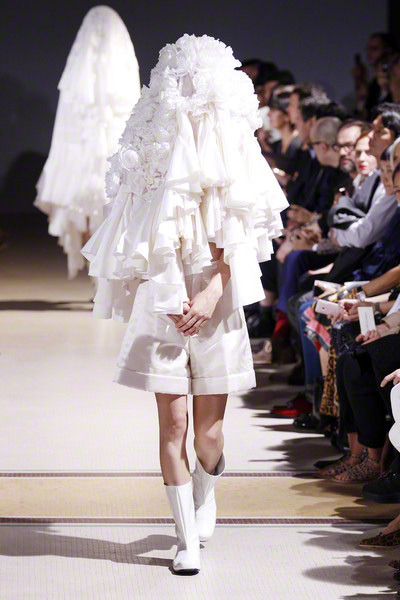 The rest of the show all dresses were white and all models looked like prisoners in skirts like padded cages and capes done in grand couture shapes but no armholes. 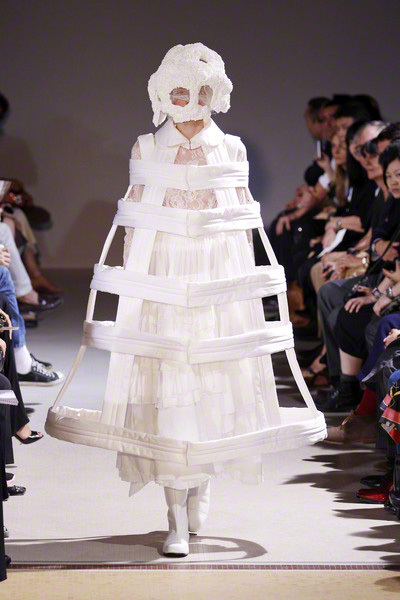 Some dresses were tight and completely restrictive. 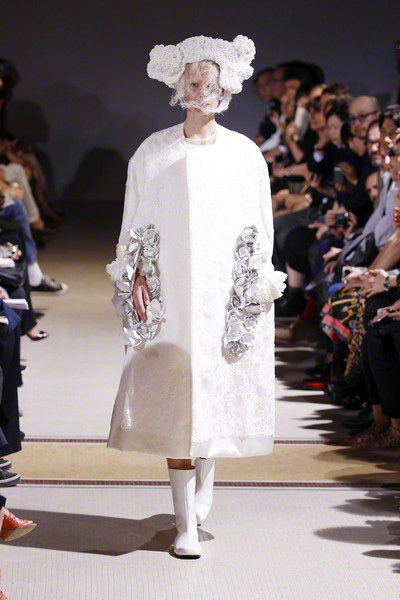 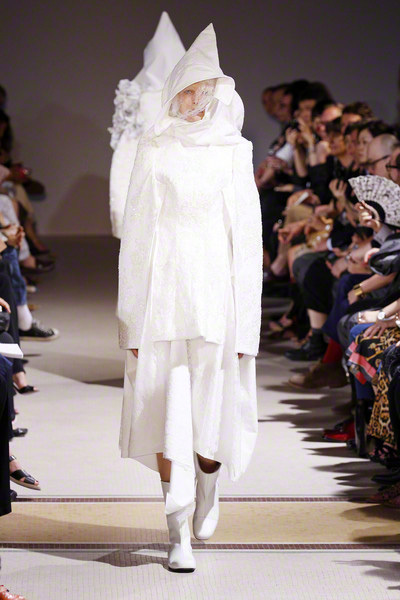 This was a true Kawakubo-collection: provocative, beautiful and sometimes shocking.